hermitages that have been established with this name. 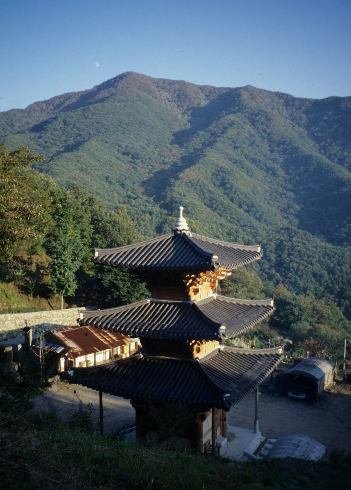 Japanese temples) and it's exceedingly remote scenic location. natural name for a new major temple built within them. 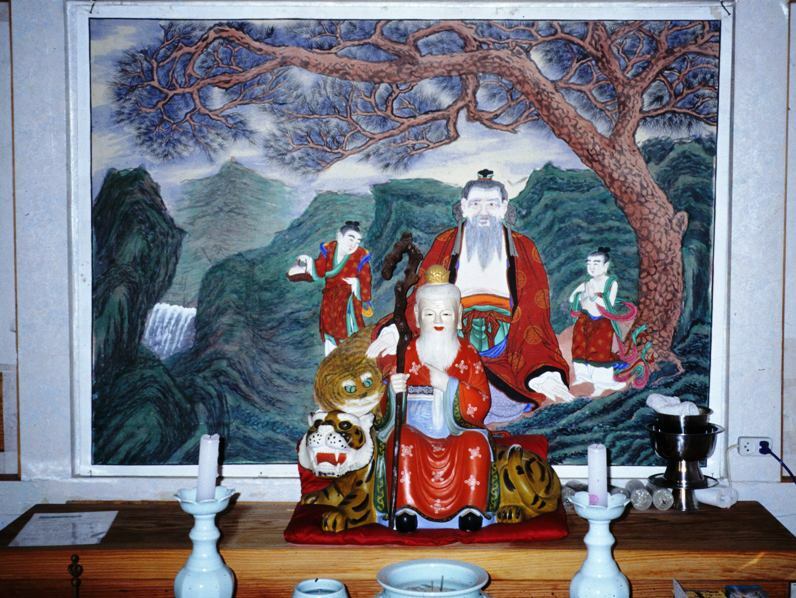 painting, obviously by the same artist -- the left-hand dongja attendant-boy is just the same! 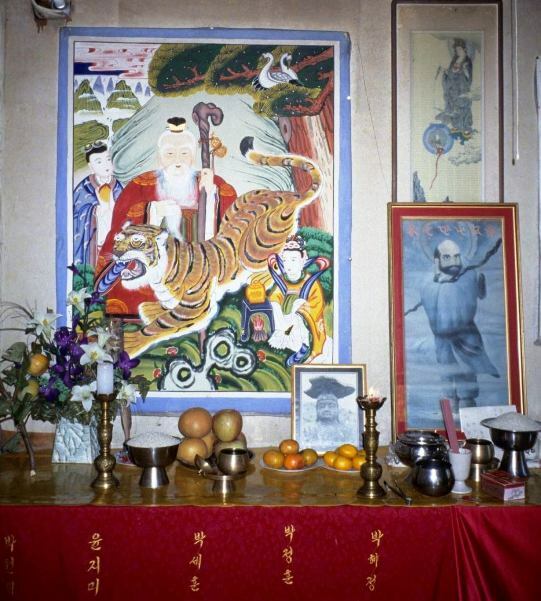 At Right is the very Sanshin-ish Bukseong-shin [North Star Spirit] from the Chil-seong icon. of the Waters] stands right next to him, with unusual orange fish-fins flanking his head. 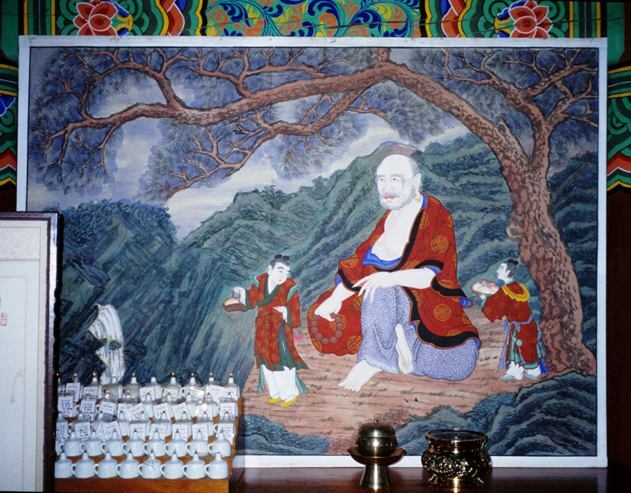 The San-shin painting found in south Munsu-sa's Samseong-gak is new and original, but follows traditional motifs. 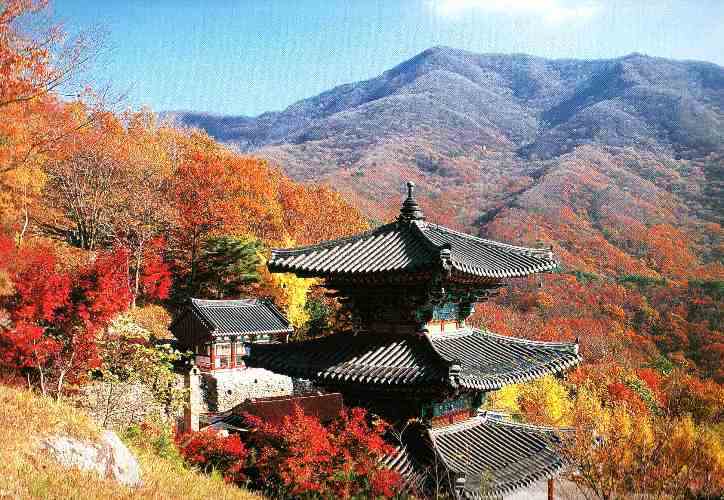 case it is intended to evoke the three most important sacred peaks of these mountains (see introduction & Sudo-am). 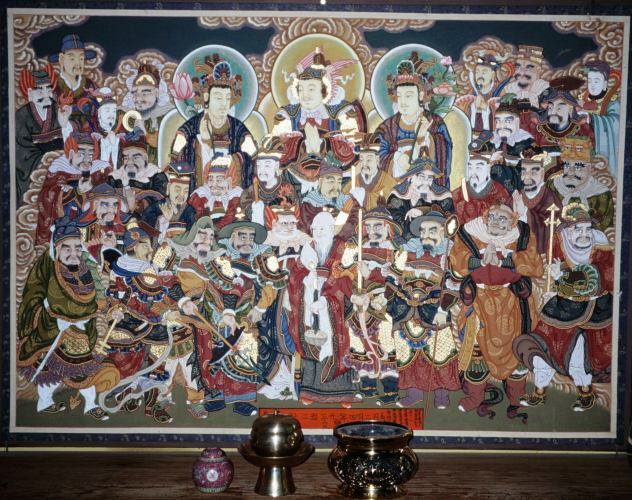 shin painting is cartoonish, but contains many (fairly standard) symbolic elements. Bodhisattva of Compassion] and Bodhidharma. photo from a lower angle, from my visit here in 1999.